The owners of Ben’s Barketplace®, Brad and Sally Romero, decided long ago to embark on their mission to educate pet owners on how to maintain pets’ health and vitality. Sally opened Ben’s Bark Avenue Bistro in 2005, and upon his retirement five years later, Brad joined the business. More than ten years and thousands of healthy pets later, and now in a booming pet supply economy, they renamed and trademarked their original brand concept – Ben’s Barketplace®, The Health Food Store for Dogs and Cats. 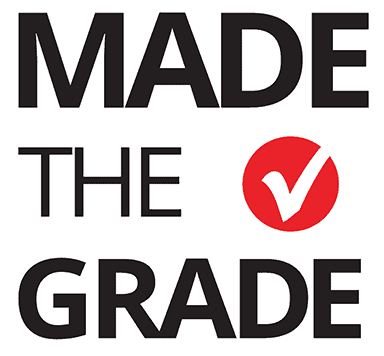 A new player in the franchise industry, Ben’s Barketplace has definitely “Made the Grade,” according to FranchiseGrade.com. 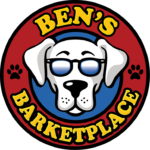 Operating since 2015, Ben’s Barketplace is a retail health food pet store franchise that offers premium quality pet food, toys, and related products, as well as information and education for pet owners about proper diet and maintenance of pets’ overall health. Ben’s Barketplace franchisees make a difference by providing pet owners with the highest quality foods and products on the market. Ben’s Barketplace provides franchisees with a leading retail franchise business model that clearly navigates the rapidly growing pet industry. Ben’s is actively seeking highly qualified individuals to open new, single-unit franchise opportunities. Additionally, the first five Ben’s Barketplace franchisees to come on board will be offered a discounted franchise fee! What better time than now to join one of fastest growing sectors within the franchise industry? Download the franchise brochure for more information and contact us today to discover the benefits of becoming the next Ben’s Barketplace franchise owner. Ben’s Barketplace is unique in the pet food industry. We “Teach” pet owners exactly what their pet requires to achieve ultimate health and longevity.